And so it’s been another Hello Goodbye as International Beatleweek has come to a close after eight days of fantastic Fab Four fun. 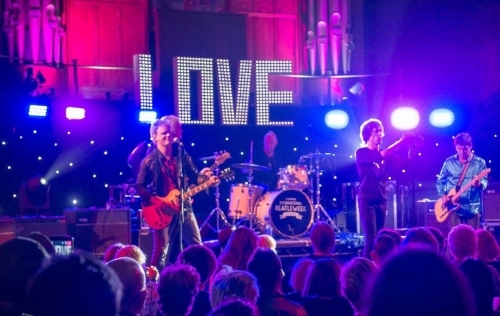 Bands and Beatle fans descended on Liverpool – birthplace of the biggest band in the world – from all four corners of the globe including Japan, Iceland, Uruguay, Russia, Panama, America, Australia and Israel. And this year we also welcomed an organised group who flew in from Vancouver on the west coast of Canada, along with teen band Poison Gas from Brazil who rocked the crowds with their high energy set. Along with all our festival favourites, and there were a fair few of those in evidence over the week, we always strive to offer fans something new too. This year there was a nod to the much-loved days of the Mathew Street Festival with Scousechella, a Liverpool version of the Coachella Festival line-up of two years ago when Paul McCartney joined an amazing line-up of music legends to play at the famous American music gathering. The Annual Convention is always a Beatleweek highlight. Speakers this year included Freda Kelly (who arrived complete with afternoon tea), Badfinger’s Joey Molland, Beatle friend and Apple Records boss Tony Bramwell and Pattie Boyd. 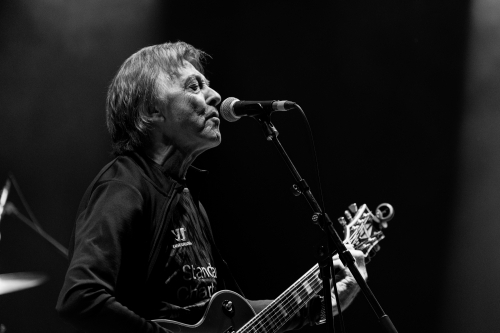 Pattie gave a packed Adelphi Ballroom some fascinating insights in to life with George Harrison, while George Harry’s Son played some of her favourite songs live including Isn’t It a Pity, Dear Prudence, While My Guitar Gently Weeps and, of course, Something. And Tony Bramwell’s chosen favourites included the George-penned Sour Milk Sea which was a hit for Jackie Lomax on the Apple label in 1968. Lomax’s widow was in the Convention crowd and declared the Cavern Club Beatles’ version the best she’s heard since the original. Other faces at the Convention included photographer Tom Murray who snapped the Beatles on their Mad Day Out in 1968 and Beatle artist Shannon, while there was a special record launch celebrating the Phillips recording studio in Kensington where the teenage Quarrymen made their first recording. John Lennon’s sister Julia Baird and Carol Higgins, daughter of studio owner Percy Phillips, unveiled a special plaque commemorating what was Liverpool’s first recording and disc cutting studio. And along with all the myriad of memorabilia on offer, there was also the chance to snap up a special brick from the original Strawberry Field children’s home and in the process help with the fundraising to bring the South Liverpool site back to life. The Cavern and Cavern Pub pulsated to the sound of tribute bands from countries as disparate as Uruguay, Turkey, Japan and, err, Scotland, and there were also sellout shows this year at the Philharmonic Hall, and at the Locarno (aka Olympia) where the line-up included the Hideaways and special guests Billy Kinsley, Beryl Marsden and Joey Molland. And for the eagle-eyed among you, there was Where’s Holley? 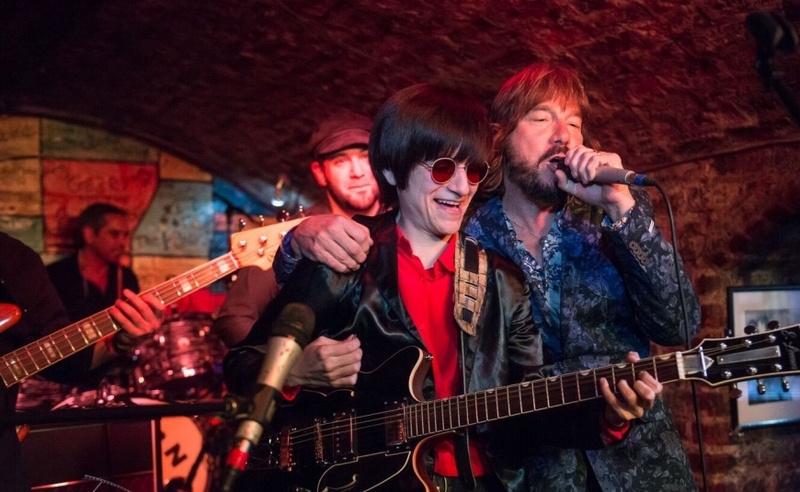 where Wings drummer and Beatleweek friend Steve Holley was challenged to get up on stage and play one song with every band during the course of the festival week. Now it’s all over for another year. But in the words of the Beatles, we hope you all enjoyed the show.